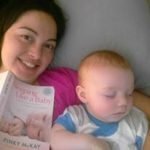 Attended Pinky’s Toddler Tactics seminar in melbourne today, and I want to say how informative my husband and I found it. We have 3 girls (4yo, 2yo and 7week old) and what we heard and learnt today will benefit all our girls and ourselves in parenting gentler. Pinky’s tactics resonated with me as how i wish to parent and gave me ideas to change our current skills to more understanding skills. Thank you Pinky for the oportunity to attend. I attended your Toddler Tactics session in Adelaide today and just wanted to let you know how brilliant it was. I came away with some great new ideas, but it also reaffirmed some of the things I’m already doing with my little one, which was nice! It was also great to spend time with other baby wearing, breastfeeding, co-sleeping, gentle parents. While I didn’t take my own child, i did appreciate the fact that your workshop was child-friendly- and very reasonably priced. I hope to attend more of your sessions in future and will be encouraging my similarly-parenting-styled (if that even makes sense?!) friends to do the same. Thank you! Thank you Pinky McKay. Your seminars today were informative, reassuring, supportive and insightful! I am blessed to have such a wonderful resource in you! Highly recommended practical, loving seminar/s. I couldn’t have got through with my 4 without Pinky’s genuine caring input for my babies, toddlers AND ME. I came away every time feeling I was ok and could get through the tough days knowing Pinky’s wisdom came from experience, research and that every idea was from a caring, nurturing, realistic, safe place – the core of motherhood in all its dimensions. I trusted Pinky completely. She understood when no one else did (Drs, midwives, sleep schools, some mch nurses, family, mothers group). Reaching out to Pinky got me through. I didn’t have to fight my instincts any more!! The seminars were fantastic!! I was so excited to see & listen to Pinky in person. I just wanted to go up & give her a big hug! lol After reading both books I still picked up so much information & advice, and things that I can refer back to in the books again & again. The question times were so great also, it made me smile to hear the Mum’s with younger bubs asking the same questions I would have at those stages & also very supportive & encouraging to hear Mum’s with Bubs the age of mine asking the same questions I have now & living very similar experiences with sleep, feeding & development. I got to talk with some beautiful Mums, it was a really inspiring day. I just had to write to you to say thank you. My husband and I traveled to orange nsw to listen to you speak and you were kind enough to speak to us between the two sessions. During our conversation, you suggested that I get my thyroid checked. ?I had been going to my doctor for about 8 months as I wasn’t feeling well. The week after we spoke with you, I went back to the doctor and demanded to have my iron levels checked, full blood count and thyroid checked, as you suggested. Three hours after that blood test was taken, the doctor rang me and told me that she had made an appointment for me to have a radiation scan done immediately. I was diagnosed with Graves’ disease and my thyroid was so bad that none of the doctors or specialists had ever seen results as bad as mine and I should have gone into cardiac arrest. I have been getting treatment for a month now and although I have a long road in front of me, and I will be on medication for the rest of my life, I would not be here if it wasn’t for you. So thank you. I am so appreciative of the time you took to speak with my husband and I. Our little girl is a new little person now too. The doctors say that is nothing to do with my disease but I don’t believe them. Since I started treatment, she has settled so much and doesn’t need to be held all day. I don’t use my manduca anywhere near as much as I use to. She’s just so much happier. Anyway, thank you, thank you, thank you! You literally saved my life and I will be forever grateful. Pinky my 7 month old daughter has slept divinely since I came to your talk last Saturday in Sydney. I think you may have super powers! Thanks for the talk, really enjoyed all the positive tips and reinforcement. Just wanted to say Thanks for today Pinky! We really enjoyed your seminar, learned heaps & enjoyed a day out. Will be definitely coming to any future events & recommending to my friends. Had such a great morning at your seminar today Pinky McKay thank u for giving me and my husband the confidence to parent as we want to. Was nice to be around like-minded people.